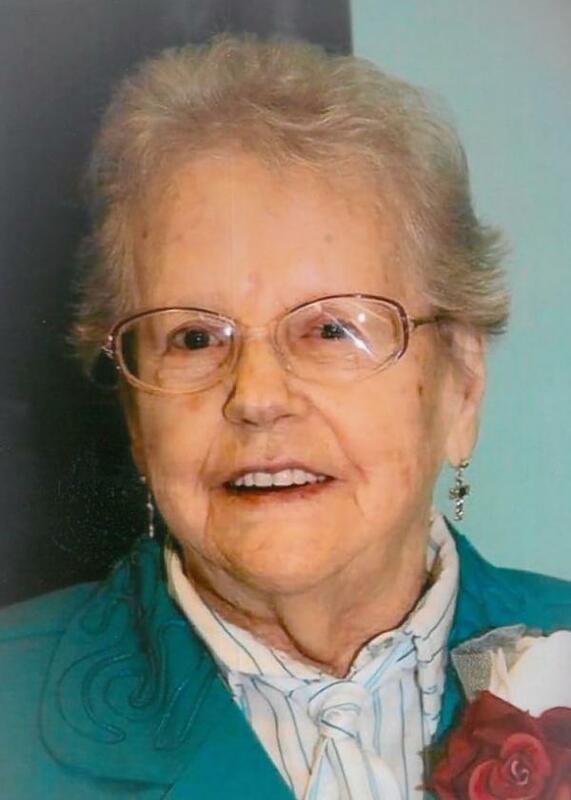 It is with great sadness that the family of the late Rita Holloway announce her passing on Sunday, Jan. 13, 2019 in her 90th year. She leaves to mourn with fond & loving memories, her children: Diane (Adrian), Judy (Martin), Marilyn (Randy), Gary (Penny), Doreen, and Gail; grandchildren: Amanda, Lloyd, Laurie Anne, Darren, Kevin, Daniel, Jason, Brian, Colin, Andrew, Sara, Scott, Rita, Jason, Jeffery, Matthew, Cody; 12 great-grandchildren; sister Mary; and daughter-in-law Nancy; and a large circle of nieces, nephews, other relatives and friends. Rita was predeceased by her husband Lloyd; son Calvin; father Andrew; mother Ethel; brother Albert; sisters: Fannie and Rose. Visitation for family and friends will take place at Country Haven Funeral Home, 167 Country Road on Tuesday, Jan. 15, 2019 from the hours of 2-4 & 7-9 pm. The funeral service will take place at the Salvation Army Temple, 177 O’Connell Drive on Wednesday, Jan. 16, 2019 at 2 pm with Majors Frank & Rita Pittman officiating. Interment to follow at Mount Patricia Cemetery. As expressions of sympathy, in lieu of flowers, memorial donations can be made to the Corner Brook Salvation Army Temple. The family guest book may be signed by visiting www.country-haven.ca.